Located on the first floor, this two bedroom, two bath, condo is fully furnished. This poolside vacation condo sleeps up to six people. The condominium complex is right on the Gulf of Mexico with beautiful white sandy beaches just waiting for you. It is located near the jetties which offer great snorkeling and fishing. Come see why we think that Destin, Florida is the place to pick for your next "Vacationing Paradise!" Live in peachtree city ga.
on gulf side of the beach. Pool and BBQ for quests. toilet, shower, next to 2nd bedroom, tiled shower. aprox . 100 yd walk to shore line. table with 4 chairs and bar with2 chairs. 42 in in family room, and 21 in in each bedroom. deck with plenty of pool furniture and tables and gas grills. 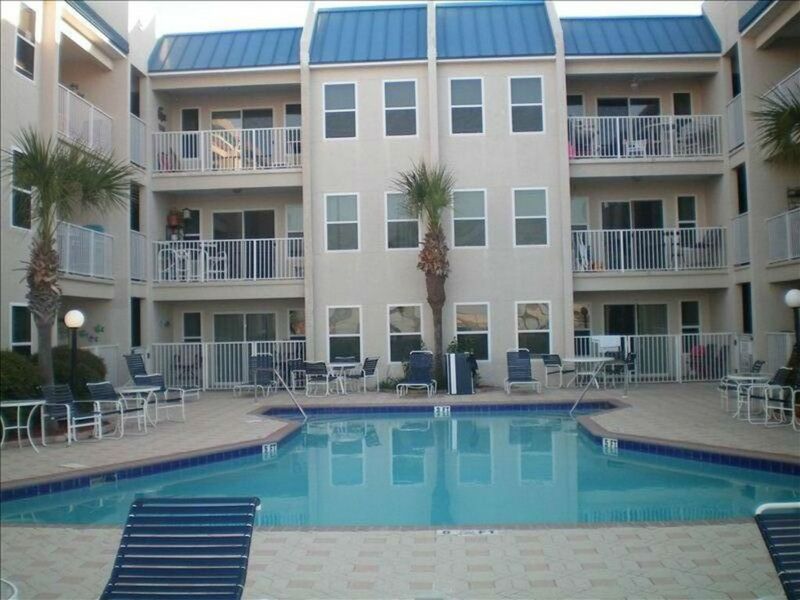 located in the heart of destin Holiday Isle on gulf of mexico.